You’re invited to a special event! Yes you! We are excited to be running a taster event for our Resilience & Wellbeing Network. 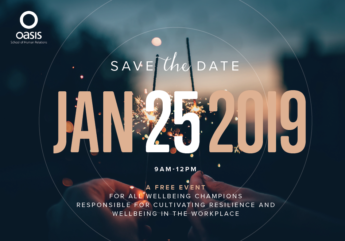 Did you know we have a group of organisations that meet once a quarter to share best practice, look at the future landscape of work and get loads of ideas to help their people thrive? Well we do! And it’s a wonderful mix of wonderful people and organisations.